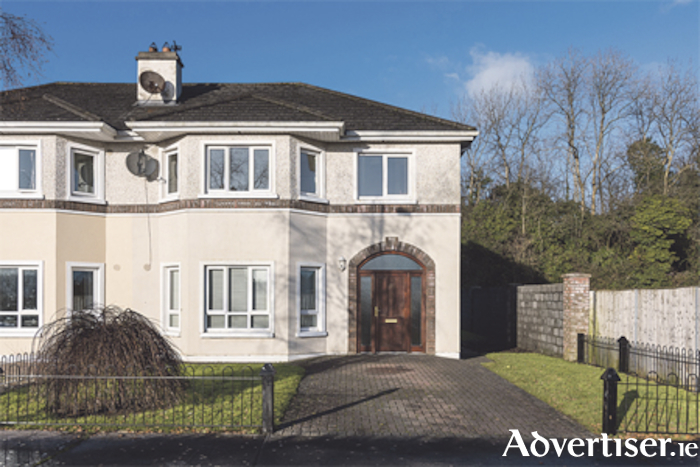 Sherry Fitzgerald O’Meara bring this spacious home in Moate to the market. Presented in turnkey condition, this fine property would make an ideal family home for the discerning buyer. Located in the Cois Na hAbhainn residential development, just off Station Road in Moate and in walking distance from Golf Club and Moate town centre, the home offers four bedrooms, two reception rooms, three bathrooms, central heating and attractive decor. The exterior of the home boasts off street parking, private gardens and a patio area. The property, which is approximately 123 square metres, offers convenience by being in walking distance of all local shops and services. This home needs to be viewed to be fully appreciated. Viewing is by appointment only. For more information, or to arrange a viewing, call agent Helena Kenny on (086 ) 8119190.